Throughout 2016, Boko Haram insurgents continued to commit grave human rights violations and carry out attacks against civilians including suicide bombings, widespread sexual and gender based violence (SGBV), kidnapping and forced recruitment, in north-eastern Nigeria and in the Lake Chad Basin. Despite achieving considerable gains in counter-insurgency operations, the Nigerian Armed Forces and Multi-National Joint Task Force (MNJTF) military operations’ led to further forced population movements. Boko Haram’s guerilla tactics led to new large-scale and secondary displacements towards Cameroon, and inside Niger, where entire villages were emptied. At the beginning of 2016, the majority of new arrivals into Cameroon’s Minawao refugee camp came from border areas, where they had previously sought asylum and safety, but owing Boko Haram incursions and military retaliations, they were forced to move further inland. Since June, the majority of new arrivals have come directly from Nigeria, some claiming to have escaped Boko Haram captivity while others cited leaving because of the deplorable conditions in IDP camps. As of October 2016, about 170,000 Nigerian refugees were hosted in Cameroon, Chad and Niger. The conflict had also internally displaced 192,912 persons in Cameroon’s Far North region, 82,260 in Chad’s Lake region (as of 31 Oct) and 184,230 persons in Niger’s Diffa region (as of 30 Sept). Encouragingly, a great number of civilians were freed from Boko Haram captivity by the military in Nigeria. In addition, Local Government Areas (LGAs) in northeastern Nigeria where 800,000 persons had been trapped over the past years, were liberated. 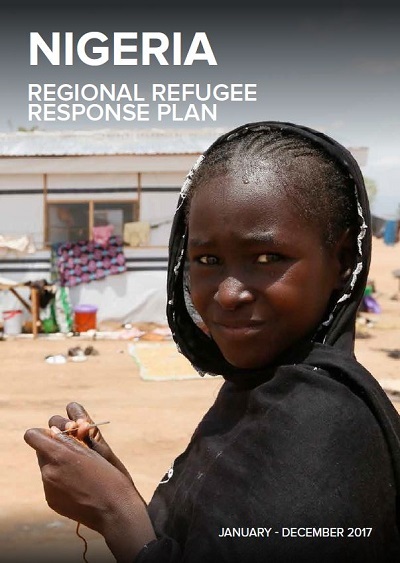 However, owing to the highly volatile security and protection situation, it remains to be seen whether conditions in north-eastern Nigeria will become conducive for the voluntary repatriation of refugees in safety in dignity and whether respective tripartite agreements betweenNigeria, host countries and UNHCR will be signed. In a region, which is already characterised by extremepoverty, harsh climatic conditions, poor infrastructure,limited access to basic services and epidemic outbreaks, continued protection and assistance for refugees, IDPs and other affected communities are required in 2017.